There was a time, and it seems more and more like an ancient time, when hunting and fishing was practiced by a majority of the population. Every family seemed to have a fishing rod sitting in the closet or garage, and rural families probably had a rifle somewhere in the house (or behind the seat of their pickup). It was also a time when virtually every newspaper had an “outdoors” writer who supplied weekly if not daily updates on local results. Many if not most cities, big and small, also had “Rod and Gun” clubs. 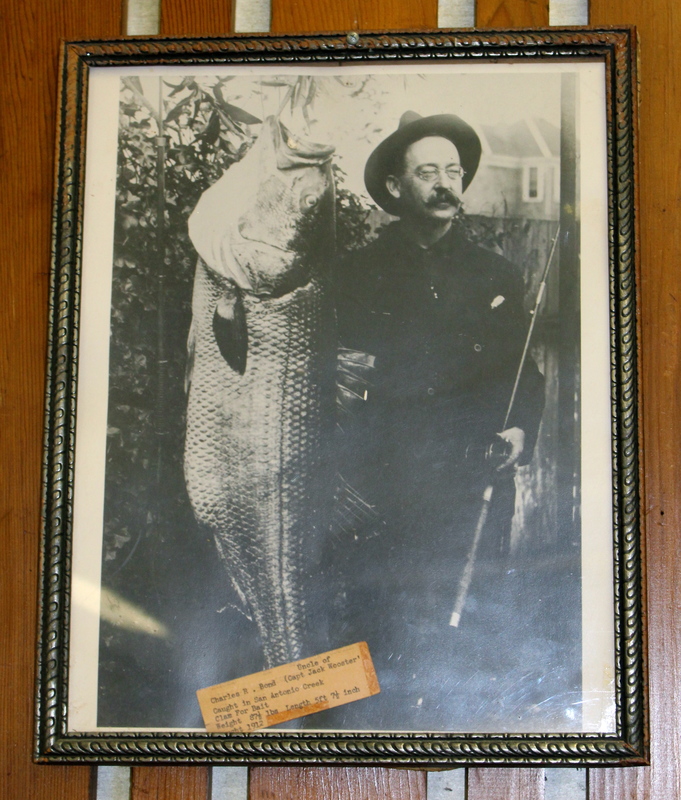 Many of these dated back to the 1920s and the Bay Area alone had several dozen “Rod and Gun” and “Sportsmen’s” clubs (not counting the “Striped Bass” and “Surf Fishing clubs”). Most of these are now history. The stated goal at inception was the conservation, preservation and propagation of fish and game. It has remained true to its original purpose and is as active today in conservation and environmental projects as it was over 90 years ago. 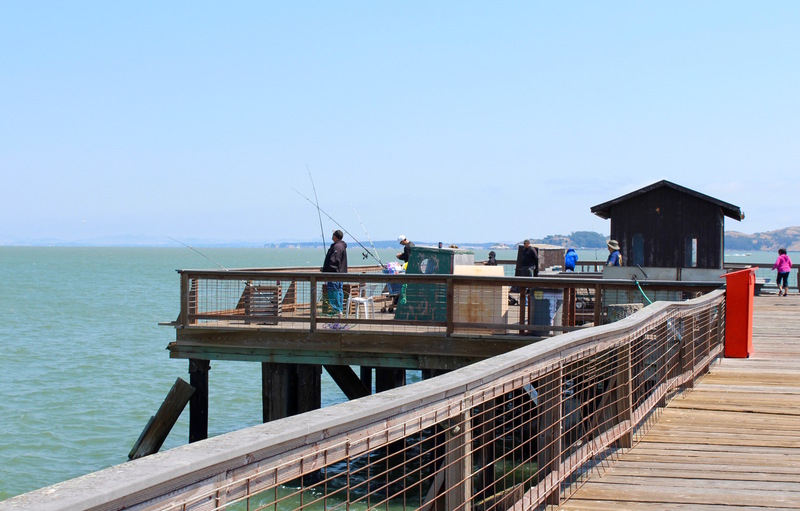 Luckily for anglers, the club has maintained and even improved at times what is now a real rarity—a private pier from which club members (and their guests) can fish. Good thing! Environment. 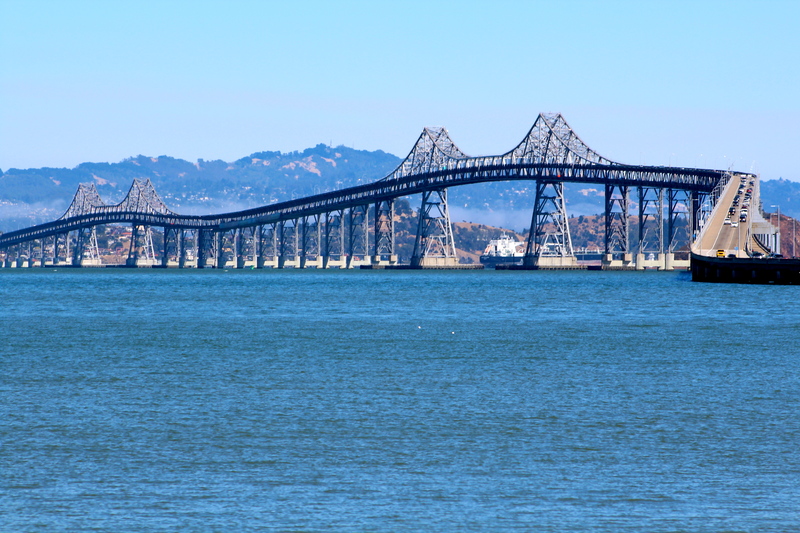 The pier is 2,300-foot long, sits on Point San Quentin, is close to the western end of the Richmond-San Rafael Bridge, and pokes out into the water of San Francisco Bay. Heading west on the bridge toward San Rafael, the first exit right takes you directly to the club. If you turn left, you’ll be headed toward San Quentin Prison (but do not stop for a friendly visit). 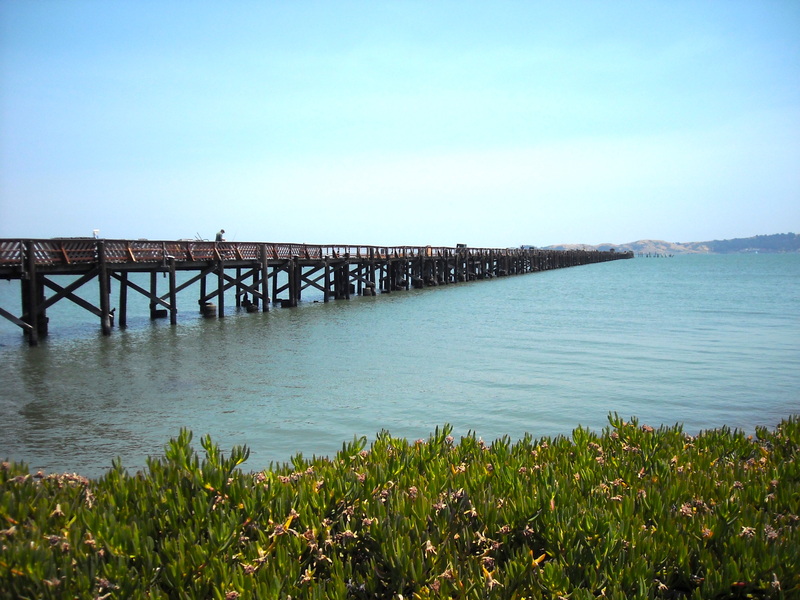 Given that the bridge sees nearly 80,000 cars a day traversing its expensive lanes, the club’s pier is probably one of the most viewed piers in the Bay Area. Most of the people sitting in their cars probably have little knowledge of the pier’s usage or its interesting history. On the other hand, drivers who are “pier rats” may see the pier and simply think—“how can I fish that pier?” That’s certainly what I thought for years. As for the pier’s waters, it is mostly shallow although the pier’s length allows those at the end to fish in somewhat deeper channels. Inshore, a short distance north of the pier, sees eelgrass beds. At three points out from the pier, also on the north side, sit a series of submerged reefs containing oyster shells, part of a plan to reestablish native oysters to the area. Both projects are cooperative projects between the club and various agencies and are designed to help the health of the bay. If they also help the fishing in the area, that’s a plus for the project. 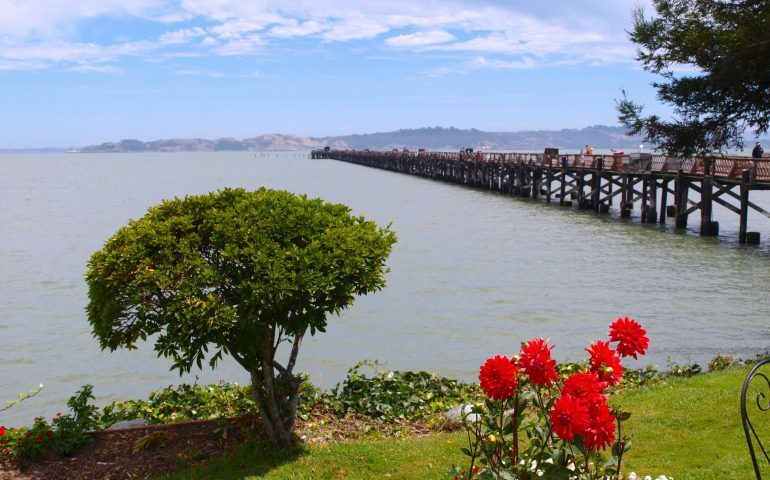 Being a private pier means members take a certain pride of ownership and they’re expected to keep the pier clean—and it shows since the pier is cleaner and better maintained than most public piers. Club members have also thought of several useful amenities. One is the hoop nets located every hundred feet or so along the pier. When you hook a big fish, especially a big bat ray, you need a net to bring it up onto the pier. Near the pier’s entrance sit several old shopping carts. Given the length of the pier, they are a godsend for those who do not have their own personal pier carts to use for the rods, reels, tackle boxes, coolers, and assorted goodies that “pier rats” bring to a pier. The Fish and Fishing Tips. 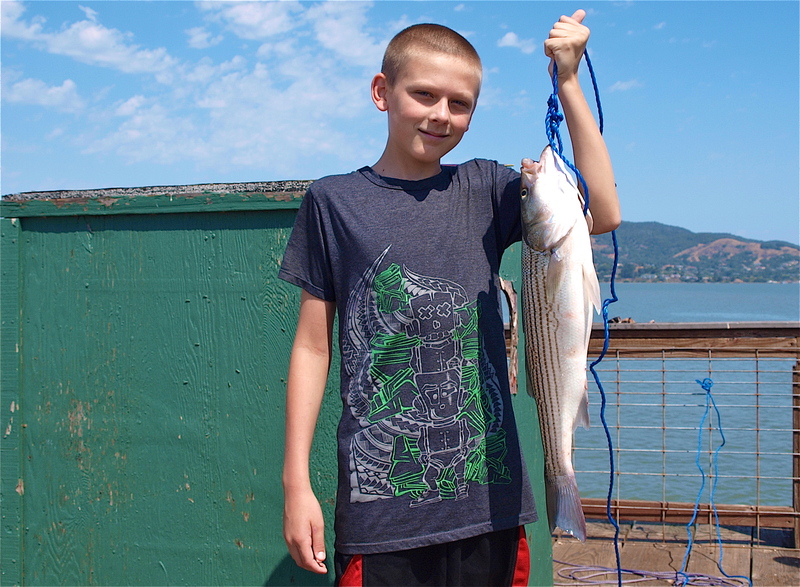 Striped Bass—Striped bass have been the most sought after fish at the pier since its inception. In fact, the pier was often referred to as the “striped bass pier” back before most of us were born. Those days saw a different world. 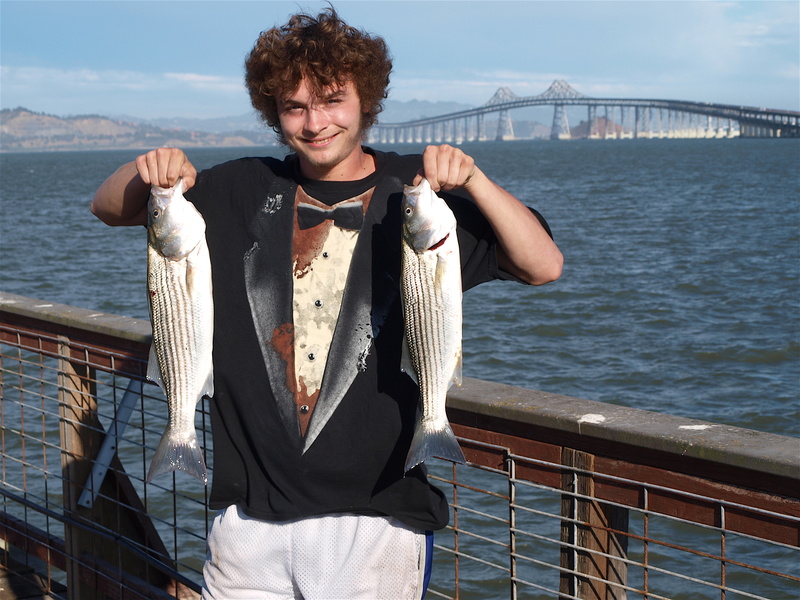 Stripers were seen as the “common man’s fish” and HUGE striped bass derbies were held throughout the San Francisco Bay-San Joaquin Delta region. Who wouldn’t be a striped bass and get acquainted with all the Marin county aquatic queens? The most pulchritudinous maids of Marvelous Marin are to be participants in the first annual Striped Bass Carnival, to be held at McNear’s Beach, near San Rafael, Sunday, April 15, and even the “stripers,” generally chary of human companionship at the end of a fishing line, must be looking forward to the event. And such an event as it will be! Devotees of the rod and reel from all parts of northern California are joining to make the carnival an outstanding success. 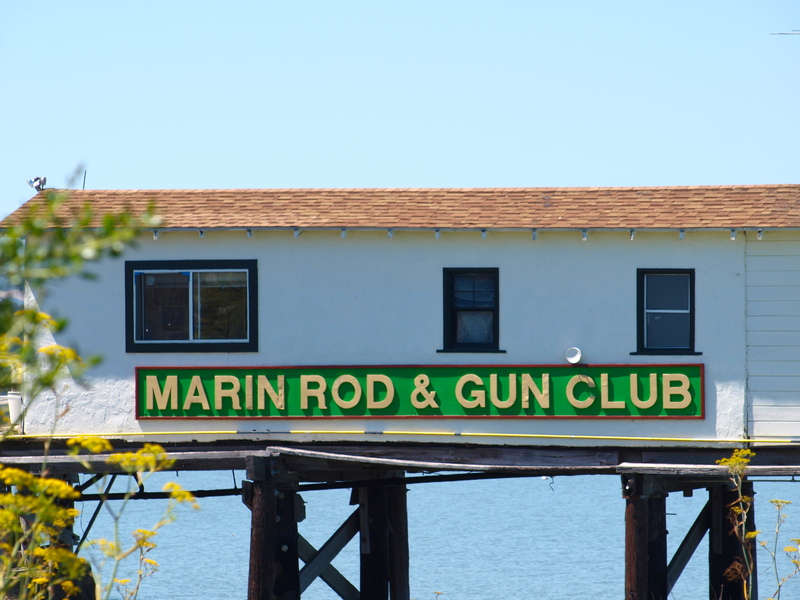 The event originally conceived by members of the Marin Rod and Gun Club, has the sponsorship of every sportsman’s club of the San Francisco bat area and will be replete with interesting features. The striped bass was king and at the time there seemed to be an inexhaustible supply of the fish. Fewer bass are caught today from the pier, especially the bigger 10+ pound fish that once were fairly common. The overall numbers of striped bass in the bay and delta are down and they will probably stay that way given the lack of support from the Department of Fish and Wildlife. 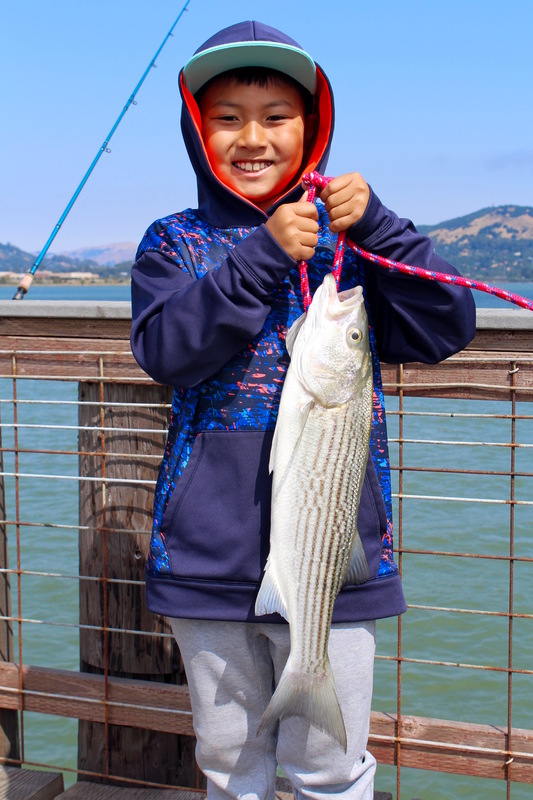 At Marin, the striped bass continue to be caught and the stripers remain a favored fish. Striped bass are anadromous meaning they typically stay in fresh water to spawn and then move down the rivers into saltwater or brackish areas for much of the year. In California, striped bass traditionally wintered in the Sacramento-San Joaquin Delta (today more winter up the Sacramento River), and then move down through the Carquinez Strait into San Pablo Bay and San Francisco Bay. Eventually some continue on their migratory path out through the Golden Gate into the ocean. Some stay in the bay. Stripers will continue to be caught through the summer. Then, as the ocean fish move back into the bay and begin their migration upstream, the numbers swell and the late September through November fishing sees improvement (including the “World Series bite”). Methods to take the fish vary! Most of the bass caught at the pier are caught on bait with anchovies and sardines being the typical bait. Other baits such as grass shrimp, ghost shrimp and pile worms and bloodworms catch their share but most are caught on the oily anchovies and sardines. If available, live bait such as shinerperch, mudsuckers (longjaw goby) and bullheads (staghorn sculpin) can be excellent with a Carolina-rig although some anglers say the bullheads will at times bury themselves in mud). When that happens the live bullheads are replaced with dead bullheads (hopefully still covered in bullhead slime). The rigs used are mainly either a Carolina-type live bait rig or a high/low rig. Rods and reels need only be moderate in size and line doesn’t need to be over 20 pound test. Hook size can be anywhere from size 2 to 2/0 depending upon the bait being used. Most anglers simply use the old “cast and wait” approach when they are fishing. Hey Ken, are non members allowed to fish on this pier with a fishing license? Tom, Non members can only fish at the pier if accompanied by a member and they need a license (as do the members).